Creating items from fused glass, metal clay, beads, resin or weaving chain maille plays a special part in the lives of many people. Craft making is a great way to express your creativity and imagination and as a bonus become part of a very friendly community of artists. Crafting items for yourself or as gifts for family and friends, or starting your own craft business, you will find endless enjoyment from designing and creating your pieces of original art. My name is Vicki and I've been involved in various craft making activities for many years and would like you to join me in exploring this fascinating and rewarding past time. 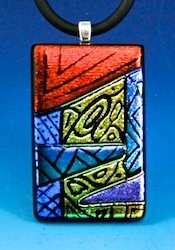 I started out working with beaded designs in my home studio then went on to discover the fun of working with precious metal clay which then in turn led me to kiln forming and other glass fusing items. Whether your interest is beaded jewelry, wire work, precious metal clay, kiln formed art or chain maille weaving you will find something to interest and challenge you here. 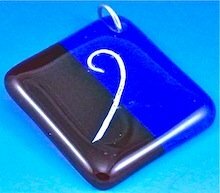 Discover how to create your own hand made jewelry and fused glass objects, using the free tutorials and ideas found on this site. Join the wonderful world of kiln formed art and explore the many fused glass techniques and methods to be found here. Work with flat sheets, clear and black dichroic, powder, frit, stringers and rods as well as enamels to produce original art glass objects. Explore the many aspects of glass fusing, slumping and casting molds, tools to use, fusing supplies, technical terms and much more to help you enjoy the delights of kiln forming. Expand your skills through beginning, intermediate and advanced levels of fusing, work at your own pace through our free tutorials. Many of the ideas and processes found here are not generally available and we have tried to present them in an easily understood manner. Navigate your way through the sections by clicking on the left hand buttons. 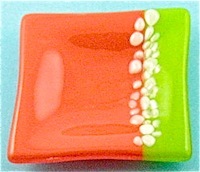 These buttons will take you to the many pages of information featuring different styles and types of jewelry making. 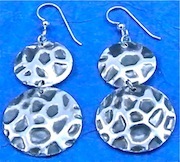 You don't have to be a silversmith to work with the different types of metal clay on the market today. Metal clay is a very easy medium to work with as it can be molded, cut, drilled, filed and sanded to produce a never ending array of original items. 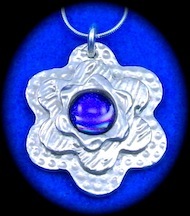 Visit our metal clay section for tutorials and information on making precious metal clay designs. Details of copper and bronze clay types and tutorials are also to be found here. See which supplies and tools you need to get started in PMC and metal clay art. Discover the beauty of chain maille weaving. Create earrings, bracelets, necklaces, anklets and other personal items. Find out how to wind and cut jump rings, materials, tools to use, where to find free patterns and ideas for chain weaving. Tutorials on using a Jump Ringer or Koil Kutter to cut jump rings can be found here. Items can be woven from precious metal rings, stainless steel, copper, rubber and other materials. There is a large range of free patterns available online. Our resin section contains extensive details on resin materials, tutorials, tools and technical information and ideas. The use of resin is becoming more and more popular with home craftspeople. 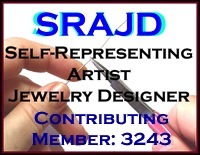 See our beading and wire work sections for ideas, tutorials and information on beaded jewelry making. Learn how to make many of the wire connections used in beading. 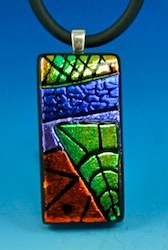 Visit our photo gallery for a wide range of completed handmade designs. Design your own kiln formed items and other pieces, combine different materials to produce original mixed media items. Combine PMC with fused glass to create individual pieces of hand made ornaments. Learn this and more on our original pages! Jewelry making doesn't have to be an expensive hobby as there are many suppliers around with reasonable prices. Once you have the basic skills you will be surprised at the range of items you can make. From a simple pair of earrings to a beautiful beaded bracelet or sterling silver woven bracelet you will find all you need here.